I am feeling good! Ram is doing great, growing and changing everyday. 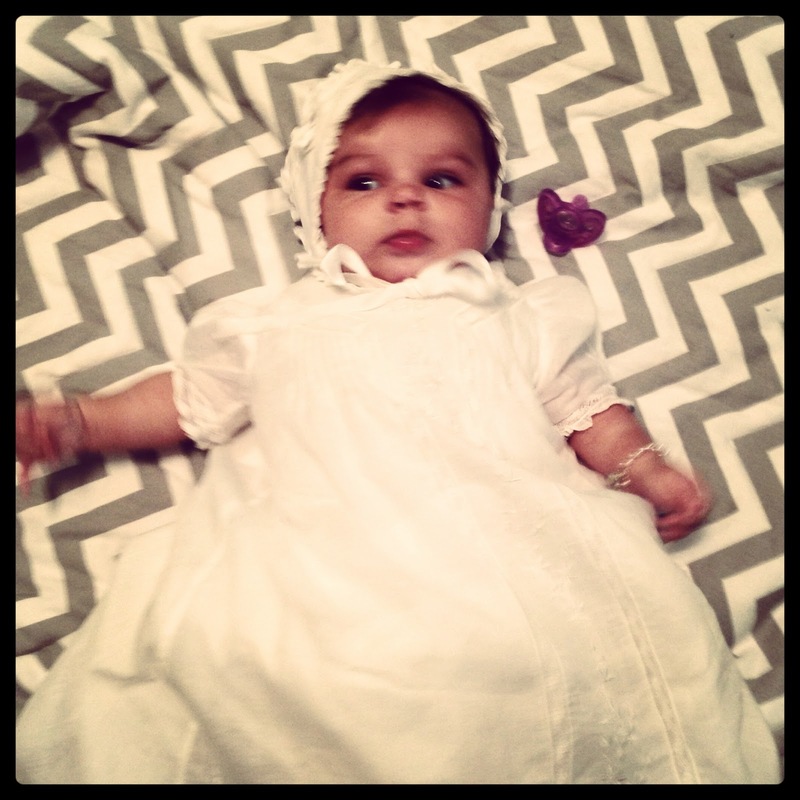 On Saturday, Ramona had her baptism. This little girl was amazing. She didn’t make a peep when she was baptized. She had her eyes locked on Father and was smiling throughout. The service lasted two and half hours and Ram was good for about two of those hours. I have said it before but now our whole church knows, Ram has a set of pipes! Grandma took her out but you could still hear her wailing. I was proud of her for being good for that long. Honestly I was ready to scream at that point too! Kelly leaves today for Roundtop, Texas. This will be the first time mom is away from Ram. I know we will be fine but I know how hard it will be for Kelly. I gave Ram a formula bottle on Monday and two more yesterday. Our milk supply is a bit low so I wanted to supplement and also make sure Ramona would take formula. 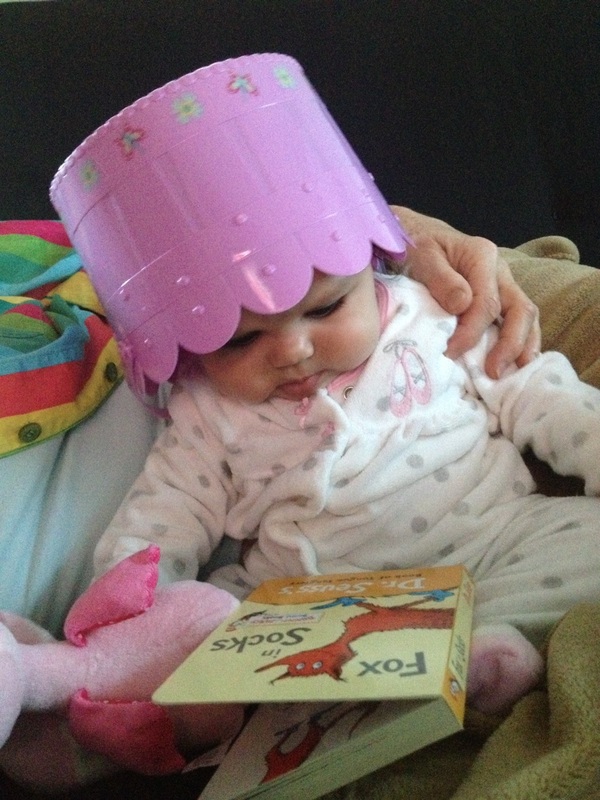 She took to it with really no problem. I am not really surprised but I feel good knowing that we have that option now. 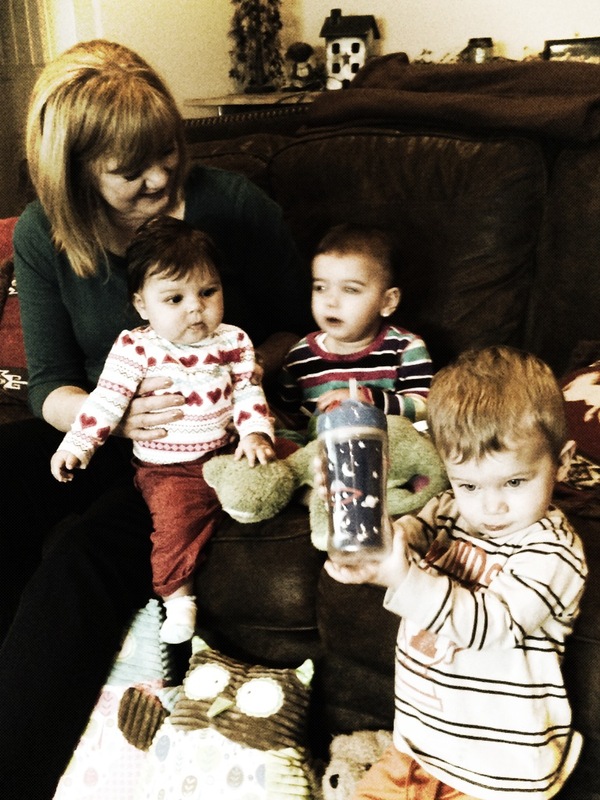 Yesterday Ramona and I visited Tia Melissa’s house and spent some time with Olive and Bentley. After that we drove up to Grandma’s for dinner. It was a fun day spent with the best company, family. I love that Ram has family close to her age. She will have another cousin in the next few weeks too! Life is great and I am ever thankful. It was hard to leave this morning. I know my pretty girl is in good hands.